Restaurante Casa Muiños is very well located at the top of a hill with excellent views from the garden of the Atlantic Ocean. Restaurante Casa Muiños serves delicious dishes from seafood, fish, meats and salads, all washed down with a variety of both Galician and domestic spanish wines. It is famous for its traditional dishes such as cuttlefish with fried potatoes and onions, Galician broth in the winter or turnip tops with pork shoulder, awesome. The menu is in English and German, to serve the tourists who visit, the relationship between price -quality is superb, for only 8 € with coffee included or 1 € more, we can also have a dessert .. . on which we must make a special mention, all made by Enma, the cook and boss,such as the Swiss roll, cheesecake, the chocolate tart, a treat for the palate, you cannot afford to miss. 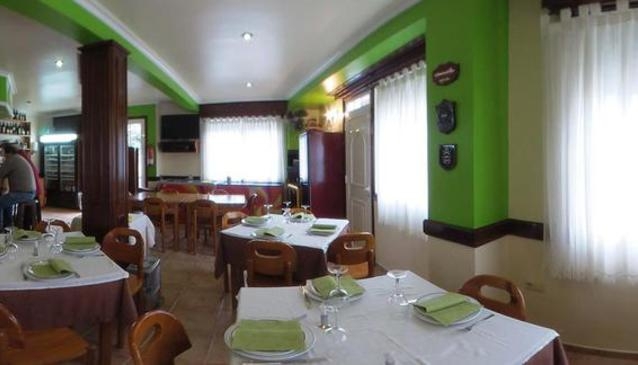 Restaurante Casa Muiños is a delightful place to take the whole family, especially children and elderly people.